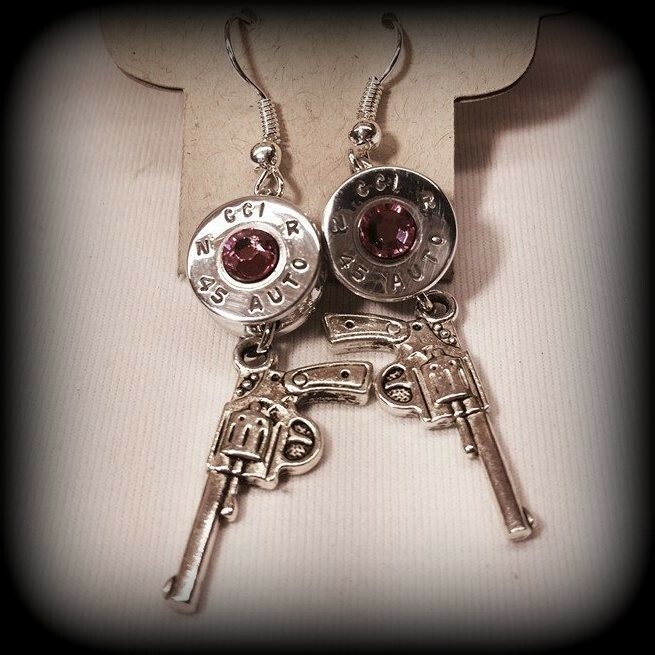 Custom handcrafted bullet casing base dangle earrings with genuine swarovski crystal stone. The picture is a stock photo. Bullet casing may vary depending on availability.If you would like a specific casing please let us know and we'll see if we have it in stock.